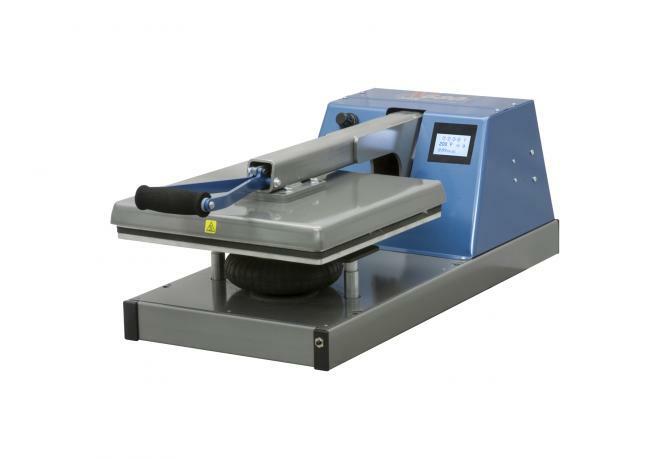 HIX N-680 air-operated automatic heat presses can be described with three phrases: easy to use, highly efficient productivity, and rugged dependability. You'll notice your operators will have less fatigue and an increased performance rate. The N-680 features a touch-screen controller with a built-in digital timer that is adjustable up to 99 minutes, 59 seconds. It also shows the time countdown on readout, beeps after elapsed time, and resets when the handle is raised. The calibrated digital temperature control is adjustable up to 232°C and displays the current temperature. You can easily set the air pressure with the knob and see the PSI reading on the gauge. With the pre-press release, you can start pressing your garment to remove any wrinkles and push the button to open the machine, without having to wait for the end of the cycle for the press to open.